I am not into using other people’s words to fill my own blog. However, occasionally there will be someone saying something that is truly fascinating and wise that I feel the need to quote it. Since the quote is often too long to be presented by Twitter, giving it full presence in a blog appears to be a good idea. Please, remember this quote is from someone’s writing that is truly wroth reading. Go and check it out because it will broaden your horizons and brighten your day. Enjoy. 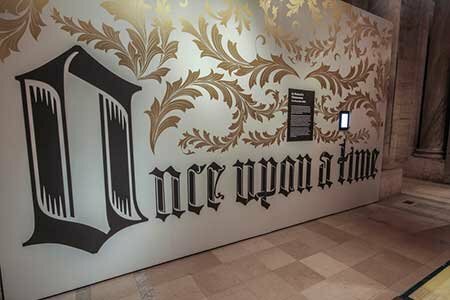 Quoted from “Once Upon a Time” by Paula Marantz Cohen as she introduces “The ABC of It: Why Children’s Books Matter” exhibit at the New York Public Library through to March 23, 2014. The article can be seen here on “The Smart Set” from Drexel University. I love childrens books. Innocence at it’s best.